Since a considerable amount of our ‘home’ time is spent in the master bedroom, most of us long for an attractive and cosy master bedroom. However, to create such a bedroom, you need to consider a few factors before you go about buying furniture for your master bedroom. Few of us would want to put in a lot of effort when choosing furniture for their master bedroom. As long as the couch is comfortable and the bed big enough to stretch fully, most people don’t care how attractive or unattractive their room looks. The furniture material, how the furniture fits in the room, and how it complements the rest of the room décor are things that rarely bother them. Unfortunately for such people, the number of visitors a house attracts largely depends upon the aesthetics of its indoor space which obviously includes the master bedroom. If you want to attract visitors to your house then it is important for you to ensure that it doesn’t look a bachelor pad .Your master bedroom is where you need to start. It is important that your master bedroom looks planned and cohesive. Additionally, it should be styled appropriately. In order to create a cosy and attractive master bedroom, following are the few things you need to consider before buying master bedroom furniture. In order to ensure that you buy the right size bedroom furniture for your master bedroom, find out the exact space you have to work with. You will waste a lot of time and effort if you choose furniture that won’t fit the dimensions or is too big for the bedroom. Before you go out for furniture shopping, take precise measurements of your room and visualize exactly where you’d want to place the items you’re buying for your room. This would ensure that the furniture you buy fits perfectly in your room. 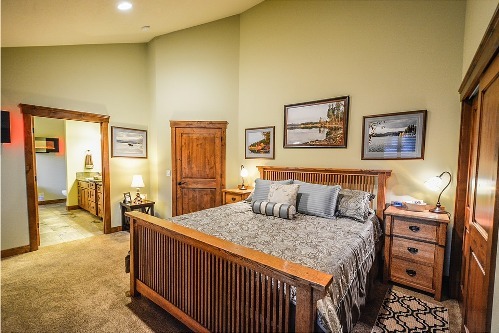 Often, people find it difficult to choose an appropriate style for their master bedroom. However, it does not need to be that way. All you need to do is choose bedroom furniture that flows well with the style of your home and looks streamlined. Choosing an appropriate theme for their room is the first thing children do when putting together their room. Unfortunately, this is a practice that adults tend to shy away from .If you want to design an attractive master bedroom then choosing an appropriate theme for it is important. No, this does not mean that you need to design a frozen or Spiderman themed bedroom. Instead, it means that you need to design a room that has a streamlined yet hip touch. The master bedroom is where we spend most of our ‘home’ time. For this reason, it is important to ensure that the master bedroom is comfortable and pleasing to the eye. By considering the aforementioned things, you can create a comfortable and aesthetically pleasing master bedroom.